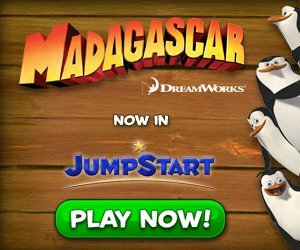 You have requested information by clicking on the Advertising Option Icon displayed on one of the JumpStart Games websites (“The Sites”), or players, games or applications ("Applications"), owned and/or operated by JumpStart Games, Inc. ("JumpStart Games"). On The Sites and Applications, we work with third parties that may collect and use information about your visits to The Sites and non-affiliated websites, as well as your use of Applications, in order to provide advertisements of interest to you. On certain The Sites and Applications, JumpStart Games uses Quantcast, Adobe AudienceManager (formerly known as Demdex) and other third parties for these purposes. Some of these third parties participate in the Self-Regulatory Program for Online Behavioral Advertising (the "Program"), which offers a single location where users can make choices about the use of their information for ad targeting. To learn more, please go to www.aboutads.info. JumpStart Games is committed to complying with the Program in connection with its operation of The Sites and Applications. The Program was developed by leading industry associations to apply consumer-friendly standards to online behavioral advertising across the Internet. To learn more about the Program, please go to www.aboutads.info.